The mistakes that were made and the problem solving techniques used to fix those problems are not that unlike the problems healthcare entities face today. Much can be learned from their experience. One of the biggest rules that was broken before the website crashed was one that should have never occurred in the first place…….”don’t hide the problems you know about”. The first rule of project management is know what’s going on. It’s the whole point of project management. What’s the specific problem? This may seem obvious, but actually is not as much so as you might think. 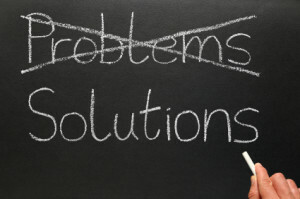 Too many times, ancillary issues are identified before the core problems are addressed. Finding the core problem and identifying it as such will create a positive domino effect both in identifying the problem and finding the solution. Who knows how to solve the problem? While administrators and managers can help facilitate the solutions, many times the real experts are the people on the ground who work day in and out in the specific areas needing attention. Listen to them, and then make sound decisions based on what they tell you. If you need to go outside the organization to find the experts needed to fix the problems, then do so. The definition of insanity is “doing the same things the same way and expecting different results”. What’s the most urgent problem? Fix it first. Prioritize solutions. When tackling the problem of getting more money in the door, first and foremost is making sure all the appropriate charges are going out the door. When you know that all the charges are being filed accurately, then you can fix the backend problem as an example. Technology is complex and the problems generated by using technology can be challenging. But just like Revenue Cycle, Operations, logistics, scheduling and other healthcare problems, solutions can be found, and rapidly, if the right people are focused on solving the most pressing problems.